A few weeks after the single Pay For The Weekend, South African alternative rockers KONGOS release their brand new album 1929: Part 1 today, January 18. 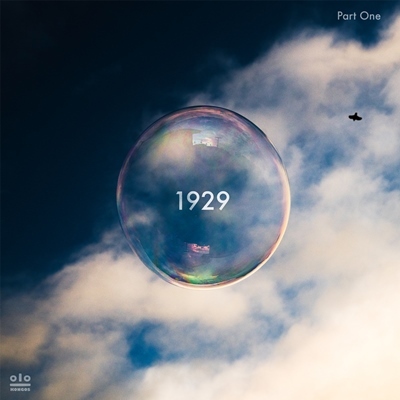 1929: Part 1 is an impressive record that is packed with the same kind of catchy lyrics, complex melodies and top-notch musicianship that listeners would expect from one of the fastest growing alternative rock bands in the world. Filled with lyrical prowess, melodic complexity and a visceral musicality, 1929: Part 1 is the result of a major creative undertaking. As the title somewhat implies, it will be the first of three albums to be released by the band in 2019. From this venture, songs like the aforementioned single Pay For The Weekend emerge, a track that encompasses the album's themes fully. Other songs like Something New, I Am Not Me and Keep Your Head showcase the band's energy and are sure to be fan favorites. All of the tracks from the album were featured in Bus Call - Life On Tour, an 8-part docuseries which follows their story and gives a compelling and realistic window into life on tour. KONGOS also host a weekly podcast, The Front Lounge, where they discuss music, ideas and more with guests that include other musicians, artists, touring professionals and entrepreneurs. 1929: Part 1 is available to stream and download on digital music platforms worldwide.